Analysis of estrogen receptor (ER) and progesterone receptor (PgR) in breast tumor biopsies has become routine practice in many clinical laboratories, primarily for two reasons: first, to help the clinician select the most effective therapy for patients with breast cancer, and, second, to compare the hormone receptor status of patients’ tumors with other disease-related parameters. For such retrospective comparisons within large study groups contributing data to common trials to be meaningful, it is essential that the interlaboratory differences in receptor data gathering be reduced to a minimum. 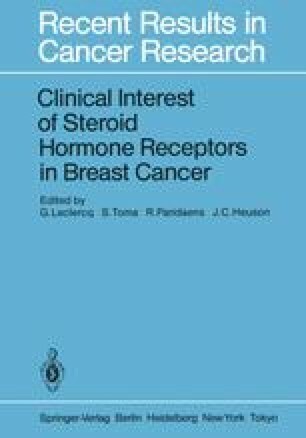 Quality control studies are therefore necessary to recognize and eliminate the differences in interlaboratory methodology in order to be able to statistically compare with confidence the hormone receptor data with other disease parameters.